There are 3 reliable clinical symptoms for have sleep apnea: high blood pressure symptoms, snoring and breathing stops during sleep. About 50% of sleep apnea patients have hypertension, and almost 30% of hypertensive patients also have sleep apnea, often undiagnosed. Several studies have demonstrated clear evidence that implicates sleep apnea in the development of high blood pressure symptoms. More specifically, the severity of hypertension was found to progressively increase with severity of obstructive sleep apnea. The Sleep Heart Health Study demonstrated an increased risk of high blood pressure symptoms in patients with obstructive sleep apnea, even at low levels of severity (AHI 5–15 events/hour). Identifying the high blood pressure symptoms is really difficult, because there are no clear signs, which is the main reason for hypertension to be known as the silent killer. How is Sleep Apnea Linked with Hypertension? A person with sleep apnea gasps for breath and snores during sleep, following severeal stops in breathing (apnea episodes or apnea events). If these events happens more than five or more times in an hour, it will affect the person's health, worsening over time. Because the individual stops breathing many times, he has low levels of oxygen in his blood and increased carbon dioxide. Having decreased levels of oxygen will cause the blood vessels to narrow, resulting in high blood pressure. Furthermore, the person with sleep apnea also tend to have serious heart problems. It may be helpful to learn that the death caused in patients with sleep apnea is mainly caused by serious heart damage. the stimulation of the sympathetic nervous system through episodes of apnea. In other words, when you have apnea episodes in your sleep, you will stop breathing and your level of oxygen from your blood will drop substantially. This mechanism will increase sympathetic activity that directly elevate the blood pressure. Poorer quality of sleep and shorter sleep periods raise de level of blood pressure. Hypoxemia or low blood oxygen is a mechanism that appears to be important for triggering hypertension, even if you are a healthy person (when you are at high altitude, on the mountain). inadequate intake of fruits, vegetables, and potassium. How to Improve Your Hypertension Symptoms? Most of these health problems have deadly consequences. Tthe best solution for a person with sleep apnea, to fight and treat hypertension, is to use CPAP . Sustained and effective treatment of sleep apnea with CPAP, has been reported to acutely decrease the levels of high blood pressure symptoms and sympathetic traffic during sleep. Because the air pressure from CPAP keeps the airway open, you shouldn't experience loud snoring, apnea episodes or gasps for air. Your sleep will be much more restful, and the high blood pressure usually subsides as well. However, if you've had sleep apnea for a long time, the high blood pressure may continue for a while. Is CPAP the Only Option to Treat Hypertension? What should you do if you can't tolerate CPAP, or can't afford it? Well, oral appliances that effectively attenuate your obstructive sleep apnea may also lower your blood pressure. If you have a mild sleep disorder, you can try many types of other alternative treatments. Also, there are some antihypertensive drugs that can lower hypertension, but there are too dangerous for your health. You may worsen your sleep apnea. Talk with your doctor about this before taking any medication. 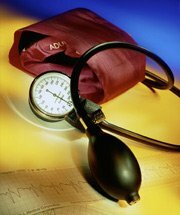 Do You Treat High Blood Pressure with Medication? Recent reports suggest that some drugs used for treating high blood pressure symptoms may worsen your sleep disorder, which decreases after discontinuation of the drug. Clonidine, guanabenz, guanfacine, and beta blockers. These drugs are great to treat hypertension, but like any synthetic drug, they may cause side effects. If you notice that you have side effect from the list, discuss with your doctor about reducing the dosage or changing the medication. See a doctor immediately before stopping the medication! It is strongly recommended to continue the prescribed medicine unless the doctor decides other alternatives. Moreover, tell your doctor if you take natural or alternative medicines, which can lower the effectiveness of your medication. avoid salty and sodium-rich foods as often as you can. Salt makes you more thirsty and if you drink too much water, you might experience fluid overload that will increase your blood pressure. try to stay cool and avoid staying under the sun too much for the same reason that this would make you want to drink more. Avoid fatty and deep fried foods, as well as those that are high in cholesterol. Not only it will trigger your blood pressure to rise significantly but will also put you at risk with stroke and heart attack. The benefits of all these life-style modification include lowering your blood pressure and reduction of cardiovascular risks. It's difficult to change, but with determination and faith you will be a normal and healthy person, as I am now.